For over 30 years, Mr. Waltz’ Colorado practice has focused primarily in the area of defense litigation emphasizing products liability, construction defect, personal injury, public entity, and professional malpractice in both state and federal courts. Mr. Waltz personally has tried over 90 jury trials involving significant injuries, which include Plaintiffs claiming significant economic, non-economic and disability damages from paraplegia, quadriplegia, significant closed head injuries and wrongful death, including other very serious orthopedic injuries. 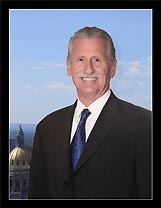 Mr. Waltz has defended hundreds of complex litigation matters, e.g., construction defect claims under C.D.A.R.A., contracts, products liability, public entity defense, intellectual property claims, premises liability claims and professional malpractice and litigated complex commercial and contract matters including asbestos abatement cases to verdict. He also has extensive experience in litigating insurance coverage, declaratory actions and bad faith matters and has testified as an expert in such cases. Mr. Waltz has authored briefs and argued numerous appellate matters in the state and federal courts of Colorado, including matters involving the original jurisdiction of the Colorado Supreme Court. The Waltz Law Firm focuses almost exclusively on defense litigation. In 2008 he was selected as a Super Lawyer in the state of Colorado. From 1974-1981, Mr. Waltz’s Ohio practice included his representation of the Ohio National Guardsmen in personal injury litigation arising out of the shooting at the Kent State University campus. Later, as Assistant Attorney General in Ohio and Chief Prosecutor for Medicaid Fraud and President of the National Association of Medicaid Fraud Control Units, he supervised the prosecution of nursing home abuse, statewide grand jury investigation and criminal/civil prosecutions of fraud and abuse of the Medicaid system. Mr. Waltz graduated from The Ohio State University in 1969. He was honorably discharged from the United States Army in 1971 after two years of active duty. In 1974, he graduated from the University of Toledo law school, where he was a research editor on the University of Toledo Law Review. He is a member of the Colorado and Denver Bar Associations and the Colorado Defense Lawyers’ Association and a member of the Defense Research Institute.